Spectra Electrical are also your authorised Level 2 electrical service providers in Sydney, certified by the NSW Department of Energy. View our range of services. Whether you need an overhead service, underground supplies, temporary supply, builder’s poles or any live work, our 24/7 service means we are always able to assist. We are equipped with 10 years of rich, professional experience. We service from Sydney CBD and surrounding suburbs, up to the lower Blue Mountains. When it comes to electrical services, you can’t cut corners. You need to deal with a company that has extensive expertise based on years of experience and an impeccable reputation. Spectra Electrical and Communications are dedicated to providing homes throughout Sydney and the surrounding suburbs with the highest standards of electrical work. As residential, industrial and commercial electrical contractors, we specialise in repairs, maintenance and installations for properties across the entire Sydney region. We also provide emergency electrician services, ensuring your home or business is up and running again quickly. We are a Level 2 service provider, licensed to assist you safely with mains power from the street to your switchboard. This specialised service gives us the flexibility to work on a wide range of commercial, residential and industrial jobs. As Level 2 certified contractors, we can perform power pole replacement and a full range of complex services including data cabling. Not only is Spectra Electrical Sydney’s leading provider of residential and commercial electrical services, we also handle the bigger jobs like data cabling and power pole installation. We love taking on the tougher jobs that other electricians simply don’t have the capacity to undertake, and our detailed knowledge of the requirements to complete these tasks is a testament to our experience. Spectra prides itself on being a high quality and reliable Sydney emergency electrician provider. 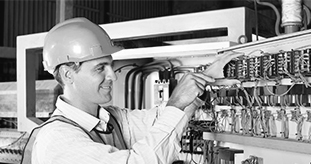 We are professionals, with the training and experience behind us to manage any electrical job. Our reputation as an exceptional electrician in Sydney is built upon our commitment to the satisfaction of all our customers. 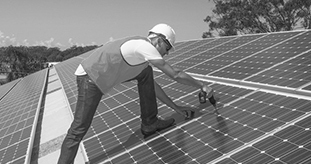 At Spectra, we provide all our customers reliable, high-quality services every time. 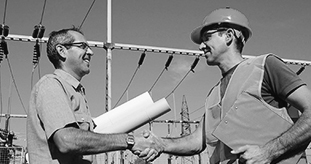 Our domestic, commercial and industrial electrical contractors are fully qualified, and have the training and experience behind them to manage any job. If you’re looking for an electrician in Sydney, contact the experts at Spectra and find out more regarding our range of services. Call us today on 1300 665 587 and speak to one of our helpful and friendly staff.